Fantastic location. Lots of space; nice layout with decent sized cupboards and the kitchen equipment all worked well. Great top floor with big windows - nice we could open one to get some breeze, and they had powered blinds for night. No dishtowel was provided but we discovered that the dishes were done for us every day so mystery solved! The View was beautiful and it is in a great location. The directions were easy to follow. I also liked that there was a lock for the luggage in the lobby. The Fridge was nice and cold which was great for keeping drinks cool. There was lots of room and plenty of toilet paper. The apartment is gorgeous and conveniently located in the heart of beautiful Vienna. Location, the kitchen equipment, the host was very responsive to messages and queries, bed was really comfortable , great coffee machine , very good instructions how to use the facilities. The view, the size of the apartment and the location were all amazing. Everything was great, perfect location, great communication with the host (via email tough, but still). Everything is self check in, its easy to do it by your self. Location for museums, grocery shopping and eating out ( in a variety of venues ) was perfect for us. Very nice comfortable room with complementary coffee pods and tea! Nespresso machine, cooking facilities and fridge. 🙂Excellent location, extremely efficient automated check in function at the door - all keyless! 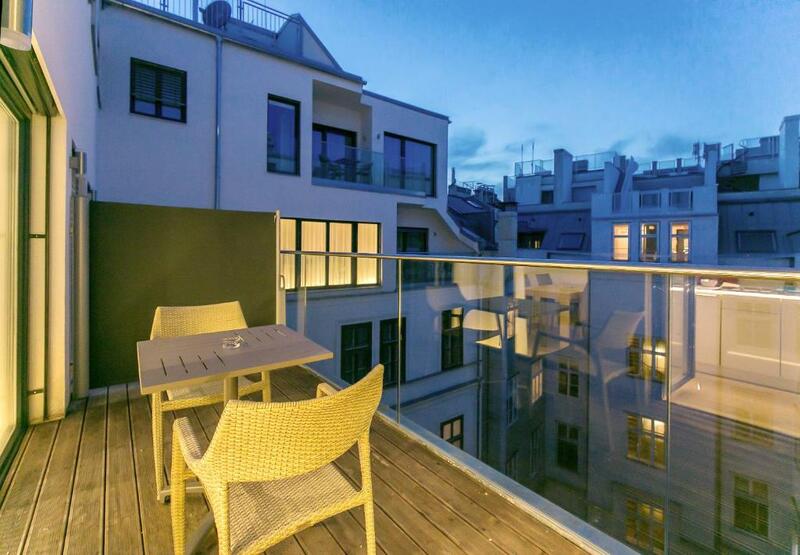 Lock in a great price for Getreidemarkt 10 Apartments – rated 8.7 by recent guests! One of our top picks in Vienna.Featuring free WiFi and air conditioning, Getreidemarkt 10 Apartments is located in Vienna. Hofburg is 1,300 feet away. 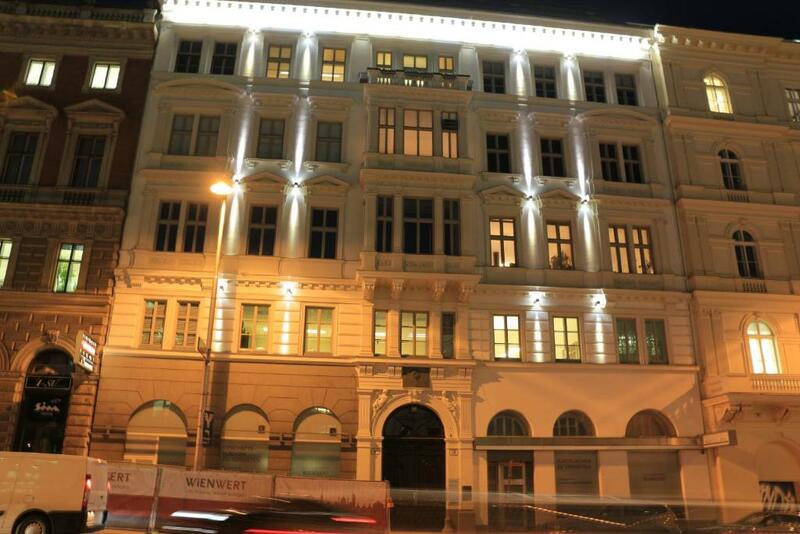 Vienna State Opera is 1,300 feet from Getreidemarkt 10 Apartments . 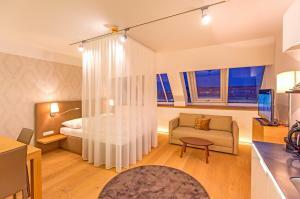 The nearest airport is Vienna International Airport, 11 mi from Getreidemarkt 10 Apartments. Paid public parking (short-stay parking zone) is possible in the vicinity. 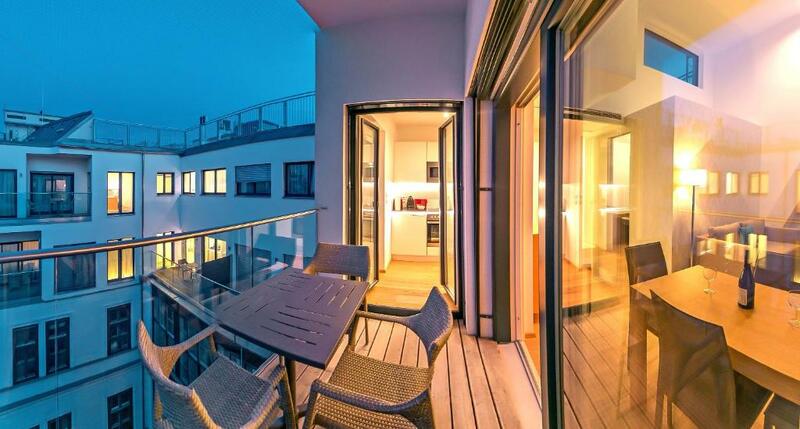 When would you like to stay at Getreidemarkt 10 Apartments? This studio features a electric kettle, tile/marble floor and washing machine. This studio features a washing machine, and a kitchenette with kitchenware and electric kettle. 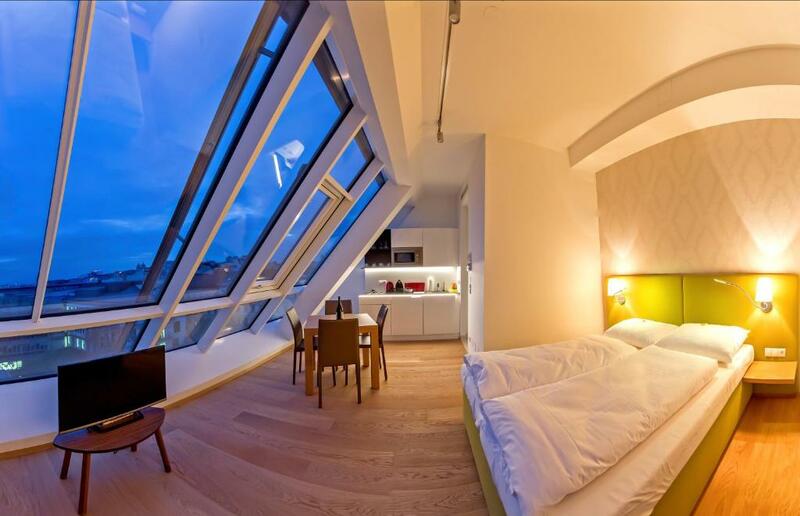 This studio offers panoramic views of Vienna. This apartment features a kitchenware, electric kettle and tumble dryer . This apartment features a sofa, air conditioning and tumble dryer . This apartment features a kitchenware, tile/marble floor and sofa. This suite features a microwave, sofa and electric kettle. This suite features a toaster, sofa and washing machine. This apartment has a tumble dryer , kitchenware and air conditioning. House Rules Getreidemarkt 10 Apartments takes special requests – add in the next step! Getreidemarkt 10 Apartments accepts these cards and reserves the right to temporarily hold an amount prior to arrival. Please note that the property has no reception. The property will contact you for check-in arrangements 14 to 7 days before arrival. after sleep there were so many ants on the table. maybe because of some sweets but need to hygiene in some way. location was perfect and we can walk to most of places. room was big enough to stay for two. Its location is perfect. Enough space in the flat for two. Bed is comfortable. The trash is emptied and towels are replaced everyday. The shower was very odd, with only partial glass walls and no door or curtain leaving no possibility to have a shower without getting water over much of the bathroom floor. After every shower we needed to mop the floor with the bathmat (no other option), and then leave it to drip dry until the next day. Not a huge issue, just lousy design. Very clean and comfortable. 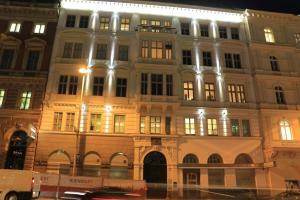 Good location, close to u-bahn and center. We needed a vacuum cleaner, but couldn't talk to anyone, no receptionist was near. Also at booking tha cleaning price should be in the first amount not only at the end of booking. Perfect location. Few minutes walk from central Vienna. Maria Hilfer strasse, Burg theater, Rathaus, etc. In the room floor is dusty. We took off our shoes, so street dirt is excluded. The floor the bathroom had pink mold. the grout in the floor looks like it has been coming out and the tiles were a bit loose in the kitchen. there is water damage on the wood floor near the window. Even though it was a warm day the AC would not turn on, I'm assuming because it is not yet summer, but this meant the room was warm. There were fingernail clippings on the floor near the bed as if the floor had not been swept. I was really excited to stay here but was sadly disappointed by the overall look of the room. Apart from the temperamental machine doing the check-in and the process that took a bit of time, overall a very positive experience. 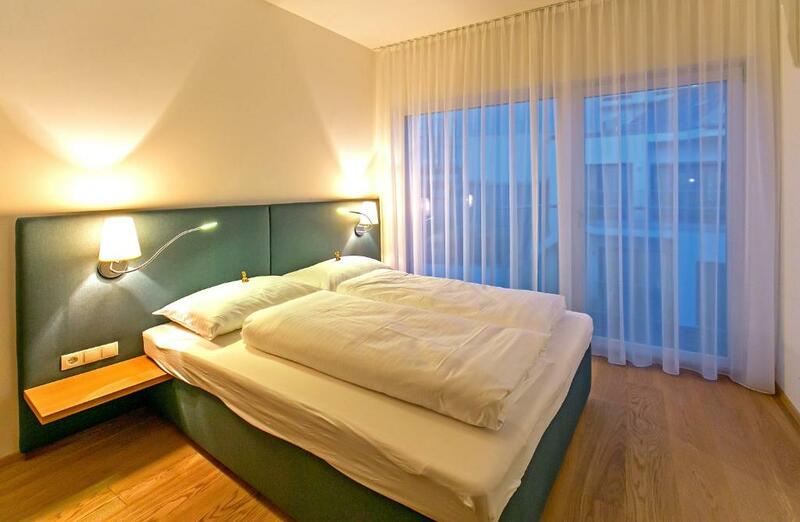 The place is comfortable located in a central position not far from Karlsplatz. It was clean and with good furnitures and appliances. Supermarket and restaurants are nearby . No parking on site. Everything else was wonderful! Great apartment. 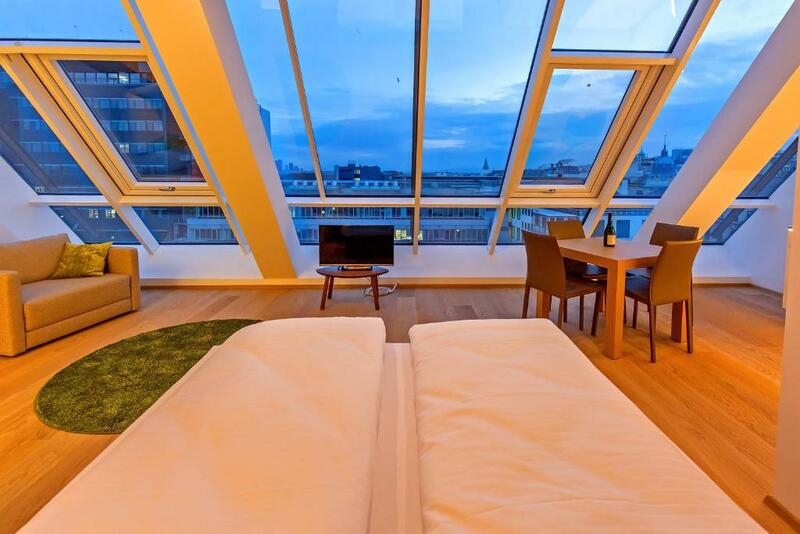 I will definitely book this apartment next time in Vienna. Nice decor, quiet apartment, comfy bed and close to the museums.